The demand for video content is growing, which means it’s essential that your production looks to be ‘professional quality.’ But that ‘professional’ look can only be achieved with the proper lighting, cameras, set and backdrop. Thanks to our state-of-the-art studio, you can have all that and more without any lengthy planning or costly pre-production expenses. 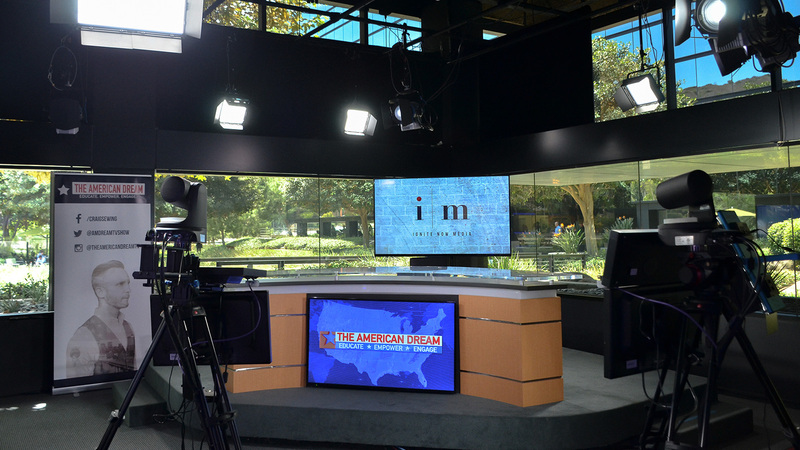 Our fully-loaded studio boasts a complete multi-camera setup (up to five), with two distinct sets, complimentary green screens and the best lighting out there. Best of all, Ignite Now Media works faster than a traditional set fabrication company. Using our studio to shoot your next project ensures that the end-result will be easy on the eyes. 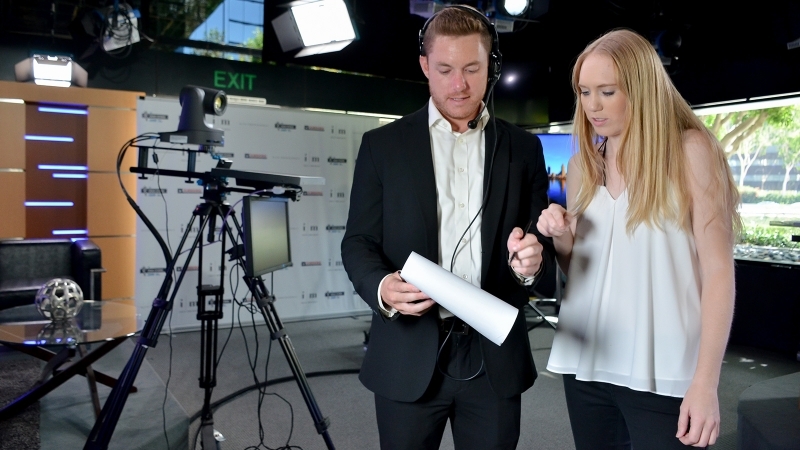 Ignite Now Media provides a complete video solution, producing videos quickly and efficiently without putting demands on you or your team’s time and resources. From concept to editing to final distribution of video content – whether through traditional TV networks, social media, or other online distribution channels — our team of professionals and our state-of-the-art studio are ready to provide a complete solution to your video content needs. At Ignite Now Media, our approach to video editing is refreshingly simple. It begins with you and your story. We specialize in listening to our clients, and interpreting their creative vision to help them bring their stories to life. Our talented team of videographers and video editors are not only experienced when it comes to creative storytelling, but also highly trained in the latest video editing software to ensure that you receive our top-notch production value. Our philosophy is to seamlessly tell your story using rhythm, shot selection, music and sound, combined with the latest technology and graphics so that your message resonates with your target audience. 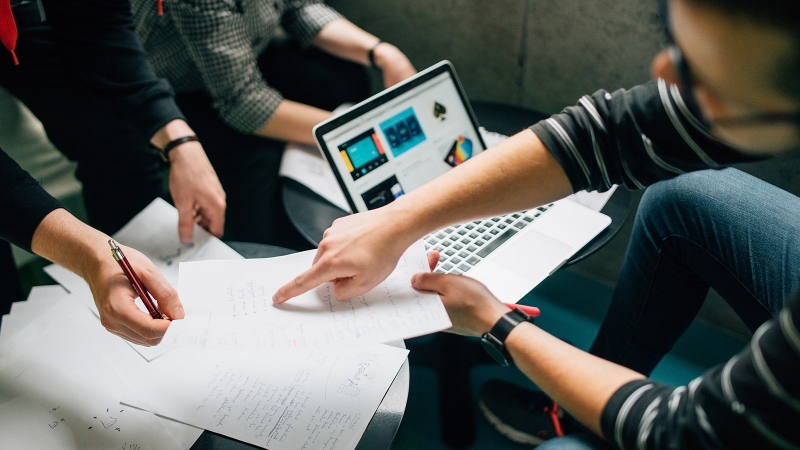 From a marketing standpoint, the thoughts, emotions, and associations that superior editing evokes will translate into greater engagement, brand awareness and sales. At Ignite Now Media, our design philosophy centers around the user. We specialize in identifying our clients’ target audience their interests, needs and expectations. By mapping out your users’ stories, we are able to design an engaging digital experience that satisfies both business clients and users alike. With a mobile-first angle on design and implementation, we know what it takes to produce outstanding digital design in the responsive age. Simply put: you cannot compete without online and social media exposure. And we have the means to get your production the attention it deserves, with our proven track record of designs that scale regardless of your users’ devices.